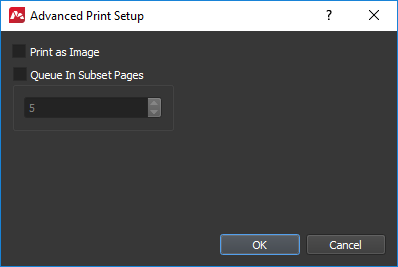 You can print the document only if your computer is connected to local or network printer and it has required drivers installed. Choose File > Print item in Main menu or press Print (Ctrl+P) button on the toolbar. Choose one of the available devices for printing in following pop up window. selected pages or pages range. Specify number of document copies. Master PDF Editor allows to set printing PDF with additional settings. Printer – Name of the printer to be used for printing. Use its properties to set paper size and orientation (portrait, landscape) and margins. Pages range – All pages, current page or specific pages range. Subset – Choose which pages to print: All pages in range, Even only or Odd only. Aspect ration – Applied when actual PDF page size and printer paper size or different, i.e. page can take only a little of printed sheet’s area or exceed its borders. This option is disabled and ignored if Actual size is enabled. Ignore aspect ratio – Stretches page to printer sheet size. Keep aspect ratio – Stretches page to shortest sheet side saving aspect ratio. Keep aspect ratio by expanding – Stretches page to longest sheet side saving aspect ratio. Print as Grayscale – If document has different color spectrum, and you want to print it with black-and-white printer, enable Print as Grayscale option. Actual Size – Set this on to print documents in real size. Center – item allows to locate printed page in the center of the sheet. Orientation – (Auto/Landscape/Portrait). In Auto mode the application will try to decide for each page if it should be printed as Landscape or Portrait. 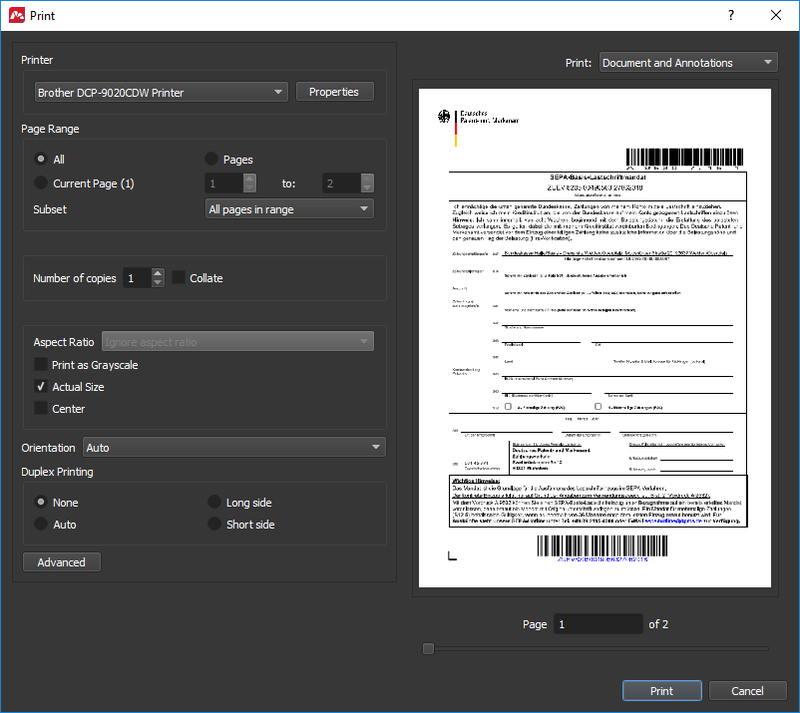 Print – Print document only or document and all annotations. Page(1) of X – Choose page for preview before print. Duplex Printing – Duplex printing settings. Print as Image – PDF document is provided to printer as bitmap image, so images and fonts quality can be decreased. But this can be compensated for by increasing DPI. Use this function if you are experiencing issues with normal printing. Queue In Subset Pages – Document is separated into multiple sup-documents according to the number of pages chosen.